Wine and music have long gone hand in hand; the right combination of the two can be the perfect mood enhancer whether excitement, relaxation or something in between is the goal. 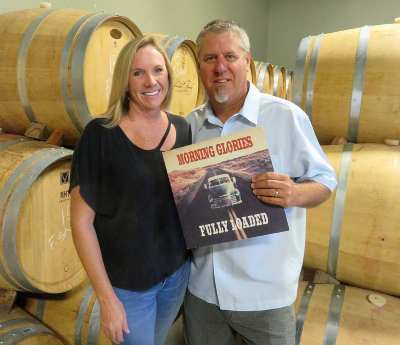 That concept is fully understood in Temecula, the hub of the wine industry in southern California, where musical notes dance freely among the grapevines and where some of the winery owners have a history in the music business. With the number of wineries expanding quickly in Temecula it can be fun but a little daunting trying to decide where to head for a tasting. 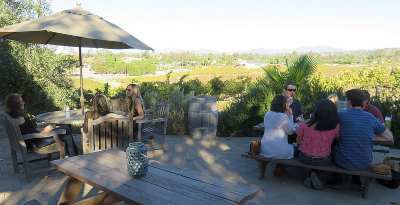 With that in mind, this three-part series explores some of our favorite Temecula wineries, all of which will be of special interest to music fans. In Part 1 we visit Palumbo Family Vineyards & Winery. The quiet serenity found at Palumbo Family Vineyards & Winery is a world away from the life that owner and winemaker Nick Palumbo lived before he got into the wine business. Visitors to the winery can enjoy tasting Palumbo wines in an intimate setting, take in a view of the vines and distant mountains on the cozy patio, or take a mini tour of the winery (must be booked in advance.) In other words, it's a sublime experience. Life wasn't always this laid back for Nick; he spent about a decade in the music business, touring the world with his band Morning Glories, a New York City-based grunge band that played at the vaunted CBGB and shared a recording studio with punk rock legends the Ramones. "The Ramones were recording their last record Adios Amigos," Nick says. "We got to hang out with them but we didn't really get to know them." Palumbo managed to procure a pretty good souvenir of his time with the Queens rockers though; Joey Ramone left behind a folder of notes and hand-written lyrics which Nick now owns and cherishes (ask him nicely and he might show it to you!) Palumbo has also worked as a professional chef and he has cooked for the likes of George W. Bush and Wesley Snipes, so if you want to know which Palumbo wine to pair with a certain entrée, Nick can steer you in the right direction. Palumbo and his wife Cindy live on the winery property, and as the word "family" in their business indicates, they make sure that tender loving care is applied to each step in the winemaking process "from dirt to bottle." 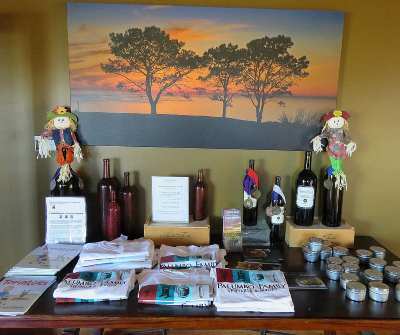 Palumbo Family Vineyards & Winery specializes in full-bodied reds. For more information go here. For information on wineries and other attractions in Temecula go here.